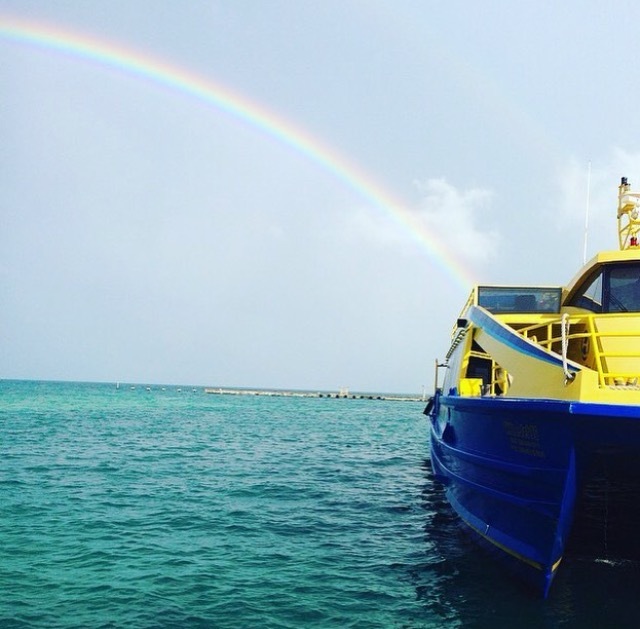 One of the things we receive a ton of questions about is the ferry from Cancun to Isla Mujeres. It can be a little daunting for a first time visitor to travel to a foreign country where they may not speak the language and have to take a flight, a transfer, and then a boat to their destination. So, we started offering the Add-on service of pre-purchasing your ferry tickets when you make your transfer reservation with us. And it has been incredibly popular. Why is this service so popular? Other than the fact that it’s one less thing to worry about on your arrival, with the increased tourism to Isla Mujeres, we have seen that the lines to buy tickets are often longer than the line to board the ferry! It can be incredibly frustrating to arrive at the ferry loaded down with luggage after a long travel day and then watch the boat leave without you because you had to wait in the ticket line for ten minutes. And now you have another 30 minutes to wait for the next boat (and if after 8:30 PM, an hour to wait). After all, you’re on vacation, who wants to waste any precious time standing in line? Hopefully, we can answer a lot of questions here about the Gran Puerto Juarez Ultramar ferry dock/Isla Mujeres route! So, the Ultramar ferry is the main ferry transport to the island. It leaves from Gran Puerto Juarez Ultramar ferry dock in Cancun. Also referred to as simply “Gran Puerto”, “Ultramar”, or “Puerto Juarez”. In fact we have two ways to book this on our site under “Isla Mujeres” or “Puerto Juarez”-They are the same exact route.